It is practically normal for a child to fear dentist. The parents and dentists play an important role to cultivate good impression and behavior towards dentist. Do not instill the impression that dentist is someone to be fear for and when children is mischievous, threatening to send to a dentist to pull out their teeth. This would cause a permanent trauma to children’s impression of a dentist. Never share a bad experience of yours to the children. You might ruin their chance to get good sets of teeth. Tell the children that dentist is just like Santa Claus (or their favorite idol whoever that was) that would give them a good set of teeth as gifts each time they visit him. Try to describe dentist as a friend who would help to make them smile better or to make pain go away. Set a good example to your children by going to dentist frequently and own a good set of teeth. Bring them along when you have your dental check up so that they have a head start of what is it all about in dental check up. Try the dentist yourself before you make appointment for your kids. Explain to the dentist the problem of your kid prior to the appointment so that the dentist would be able to treat the child problem free. Do not force a child into treatment. 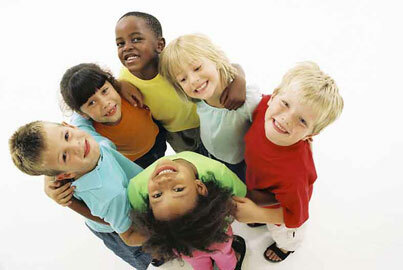 If children despise dentist, often, they will end up with lots of dental problems. For the first time, try to control the duration of an appointment of not more than half hour if possible as children often lost focus after sometime sitting on the dental chair. Please follow dentist’s advices in diet control and good brushing technique to prevent unwanted dental problems in children. Dentist would chat with the child in a friendly tone. Conversation would start with something about the child’s daily life and not about teeth. This would allow the child to be at ease. Dentist would use simple words and short answer while speaking to your child. Parents are allowed to sit on the dental chair with the child on their lap while checking is performed. Usually if dentist predicts pain or sensitivity from the required treatment, he might want to do something painless like teeth polishing to the child first and give pain killer to the toothache that your child is having. It is very important for the first visit to be painless. Some dentists would not want to do any treatment during the first visit but just spend time chatting with the child and just do a general dental check up. As a parent you must cooperate with the dentist so that your child would return for further necessary treatment. Dentist would work his way through increasing degrees of discomfort of required treatments so that the child would be less anxious when rapport is built. Nowadays treatment can be more comfortable with local anesthesia, laughing gas or oral sedation like valium. Most dentists are able to give injection without any pain at all when they apply a topical anesthetic agent to numb the gums first. It is important that you cooperate with the dentist and agree with what the dentist is going to do unless you are not comfortable with the way the dentist handles your child. 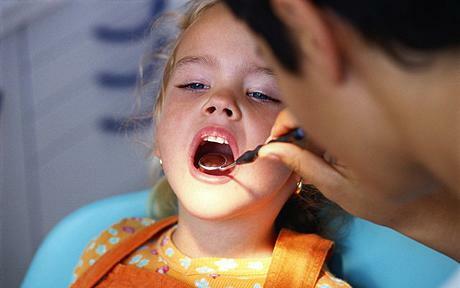 Treating children could be stressful to the dentist so sometimes dentist may use a firmer tone to explain to the child. Some dental clinics would provide small gifts to children to ease their anxiety. Some clinics have special children dental surgery that is equipped with dental chair specially designed with cartoon characters to make the environment less serious. Fear of children towards dentist is easy to overcome if both parents and dentists work well together.